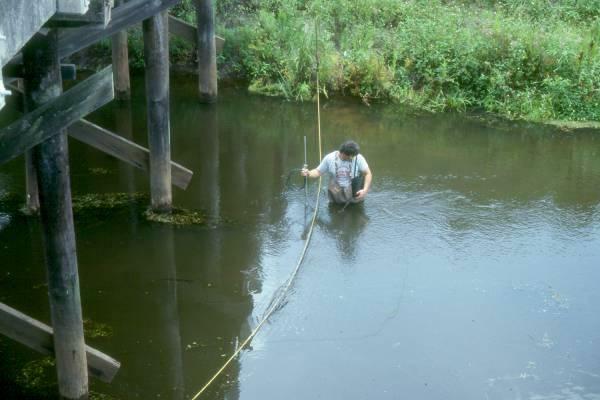 A detailed study was conducted from June 1992 to July 1993 by ERD to inventory and evaluate agricultural activities within the Sebastian and Vero Beach region of the Indian River Lagoon Basin. The study area included more than 82,000 acres and three separate water control districts. An inventory and identification of agricultural activities was conducted for each water control district which included information on the size, location, type of agricultural operations, and water quality characteristics. A six-month water quality monitoring program was conducted at 12 locations within the three water control districts to provide an assessment of current characteristics for water quality and discharge flow rates. Field measurements of canal flow rates were conducted at each site and water samples were collected for analysis in the ERD Lab. This information was used to perform an assessment of loadings of nitrogen, phosphorus and suspended solids from drainage sub-basins within Indian River County to the Indian River Lagoon (IRL). Estimates were performed by ERD of relative pollutant loadings for both agricultural and non-agricultural land use areas within the three water control districts. Estimates were based upon a pollutant loading model which uses a combination of field-measured and literature-based loading rates for land use categories. Reductions in pollutant loadings were calculated for existing stormwater management facilities, as well for attenuation of pollutants which occurs during migration through the watershed prior to reaching the IRL. For purposes of assessing the effectiveness of both structural and non-structural BMPs, and for directing future diagnostic and management efforts, the model was used to select BMPs that could achieve target reductions of 40% and 80% of the annual loadings of total nitrogen, total phosphorus and suspended solids from the water control districts. 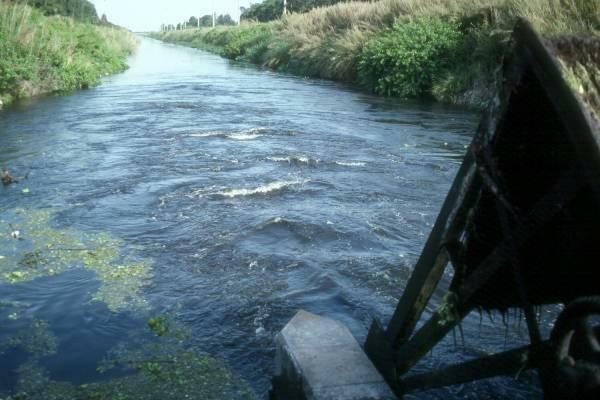 Recommendations were developed by ERD of BMPs for agricultural activities within the IRL including structural and non-structural nutrient management techniques; soil management techniques such as establishing vegetative cover, grade stabilization, and proper sizing of secondary and primary conveyance facilities; water management techniques including optimization of irrigation techniques, groundwater control, retention of excess water, and evaluation of annual discharge volume reduction; as well as development of BMP plans for each water control district. Detailed evaluations were presented for BMP options to achieve the target 40% and 80% pollutant reduction goals.